I’d just like to point out that even though this person has used my image of the “Reef edit for patch 1.9 – 1.12” this 1.24 release is nothing to do with me and was not endorsed by me! Reef Sorry I have not seen what you had written on the image, I could grab the original. 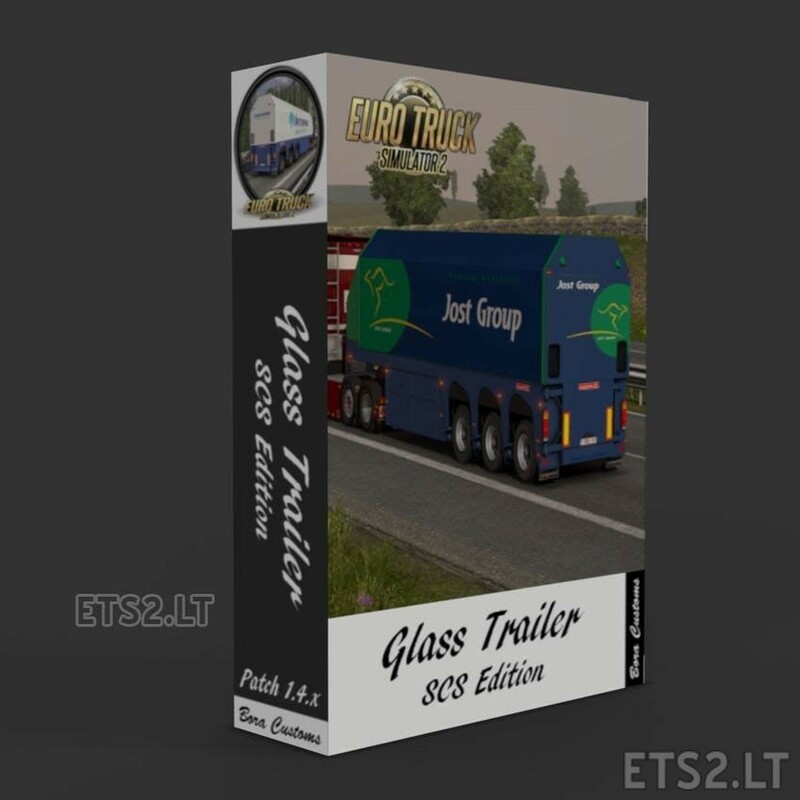 It is this that I should take >>> https://ets2.lt/en/scs-glass-trailer/ but it changes nothing about the mod. Finally a modder who tells the truth. Fred and his band of thieves, do it, fly a mod change a little and take the credits to their names !!! Whether anyone else has acquired permissions is not my concern as it’s none of my business. It’s all good Fred, It’s not my mod so credits to include me are not needed, I just didn’t want people getting confused that I had made this latest edit because of the image. To everyone else, I edited version 1.4 and made it compatible with the 1.9 onwards updates, I have no control, ownership or say over this mod, and have not played any part in this mod since the 1’9 update. any update on this …crashes with the above said errormessage ?? This is nice mod but I find mistook path. I think SaveCore said crash caused this mistook path.I have same crash and never crash with fix it myself. Please fix the line, Thanks. 00:13:37.744 : Rear wheel model instance 0 is missing for chassis ‘chassis.trailer.fdb096’ (with model ‘/vehicle/trailer_eu/fdb096/lod_01.pmd’), expect crash. 00:13:37.744 : Rear wheel model instance 1 is missing for chassis ‘chassis.trailer.fdb096’ (with model ‘/vehicle/trailer_eu/fdb096/lod_01.pmd’), expect crash. 00:13:37.744 : Rear wheel model instance 2 is missing for chassis ‘chassis.trailer.fdb096’ (with model ‘/vehicle/trailer_eu/fdb096/lod_01.pmd’), expect crash. 00:13:37.744 : Rear wheel model instance 3 is missing for chassis ‘chassis.trailer.fdb096’ (with model ‘/vehicle/trailer_eu/fdb096/lod_01.pmd’), expect crash. 00:13:37.744 : Rear wheel model instance 4 is missing for chassis ‘chassis.trailer.fdb096’ (with model ‘/vehicle/trailer_eu/fdb096/lod_01.pmd’), expect crash. 00:13:37.744 : Rear wheel model instance 5 is missing for chassis ‘chassis.trailer.fdb096’ (with model ‘/vehicle/trailer_eu/fdb096/lod_01.pmd’), expect crash.